The school will offer subjects taught in Russian and English. The school is a move towards building new ties between Russia and the U.S.
A school where subjects will be taught both in Russian and in English will open in Manhattan the next school year, the President of the Russian American Cultural Heritage Center Olga Zatsepina told TASS on May 12. She said a new program will be launched at school 145, where subjects will be taught in two languages. Students will include children from Russian-speaking and English-speaking families. "The prime aim for us is not only to preserve the cultural heritage of our historical homeland, the Russian language, traditions, basic principles of education, but to spread it further," Zatsepina said. "This school is a major and long-awaited move in this direction, success of people’s diplomacy building new bridges and ties between Russia and America." She said two Russian-language classes will open in September - reception and first class, and every new school year new such classes will be added. Each class will have 24 children - 12 of them Russian-speaking and 12 - English-speaking. 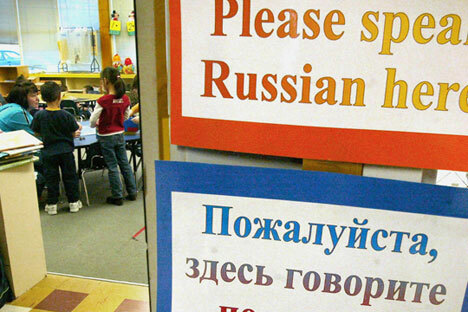 "Most parents willing to send their children to this school are bilingual families where one of the spouses speaks Russian and another is ethnic American," said Olga Ilyashenko, one of the initiators. A sizable part of teaching be based on Russian school-books. At the moment, a similar school exists in New York only in Brooklyn having a large Russian diaspora. However, the school’s waiting list exceeds 400 people. About 1.5 million ethnic Russians live in the New York State, most of them in New York City.